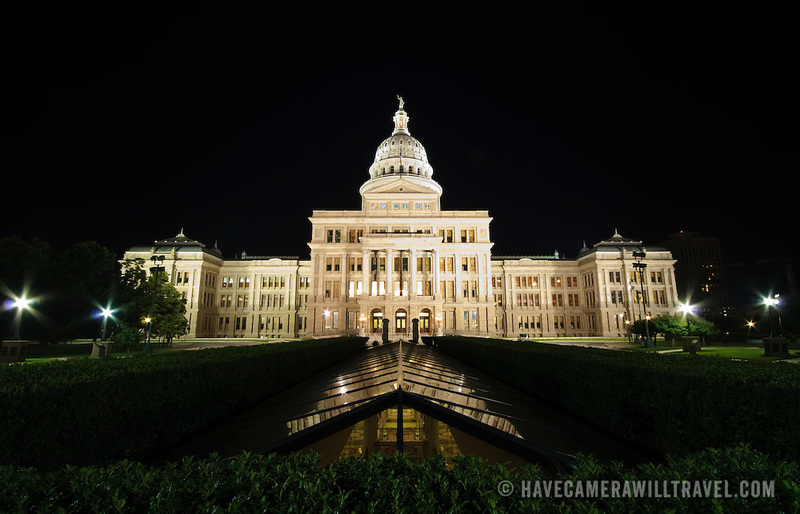 Texas State Capitol in Austin at night. In the foreground are skylights of the new underground addition adding office space to the complex. Completed in 1888 and in an architectural style of Renaissance Revival, the Texas State Capitol is the largest of the state Capitols. Although smaller in size than the US Capitol in Washington DC, it's dome rises 15 feet higher than the US Capitol Dome. On a high point in Austin's downtown, it has a commanding view over the surround area. Its exterior is of locally source granite.